When it comes to hospitality, we do it all. 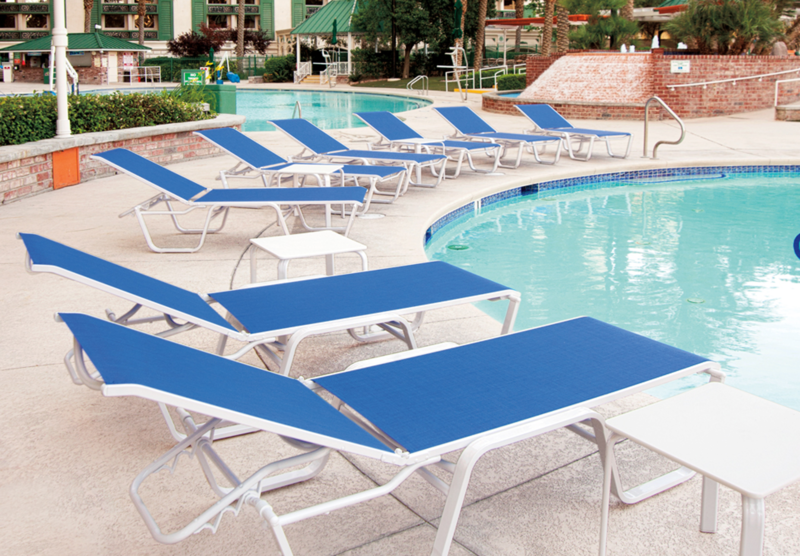 A downtown Chicago condo complex was looking to upgrade their plastic chairs and chaise lounges in their outdoor pool area. They were looking for new furniture that was easy to store, easy to move, easy to maintain, and easy to adjust. 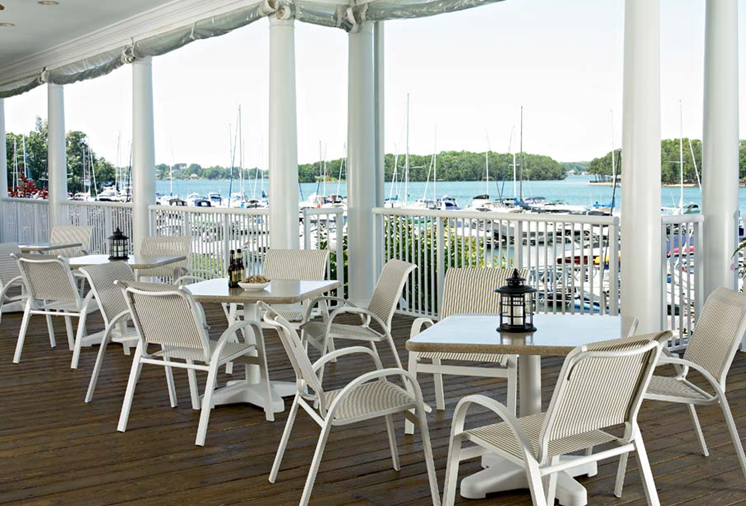 They were looking specifically for chaise lounges with multi-position back adjustment, arm chairs, and tables to make the outdoor area fresh and inviting. We wanted to provide options that were contemporary, but still had a touch of elegance and luxury. The first option was a stacking 4-position lay flat armless chaise with a matching stackable arm chair by Telescope Casual Furniture. A very simple, yet stylish option available in a variety of frame colors and sling fabrics. As for the tables, we needed something that would coordinate with the specified chairs, but also be sturdy and easy to maintain. 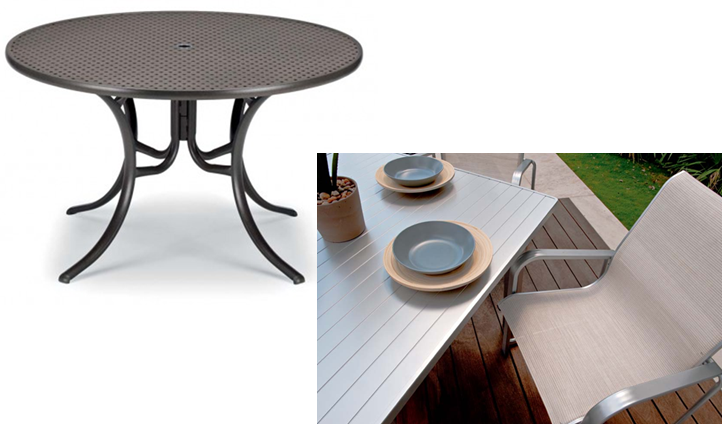 Option one included a round 4-post base perforated table that is made from durable aluminum with a polyester powder coat finish. The next option was a square aluminum slat top table for a more contemporary and clean look. 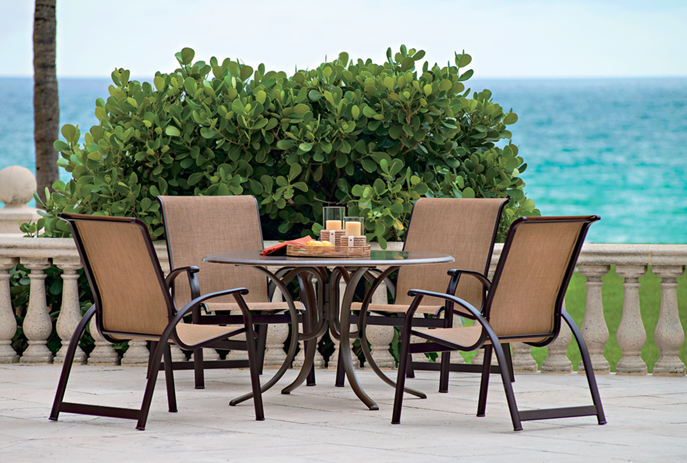 Both tables are from Telescope Casual Furniture and available in a variety of finish options and colors. They are timeless and go beautifully with just about any collection. 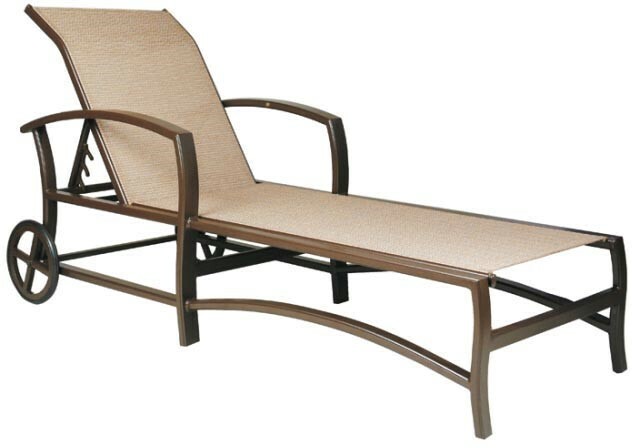 The next option was a lightweight, cast aluminum 4-position chaise lounge with a matching armchair also by Telescope Casual Furniture. Both the chaise and the chairs are stackable for easy storage. With elegant lines, a finial detail, and available in a variety of frame colors and sling fabrics, it was a great option for something simple with a touch of elegance. For the last option, we wanted something more luxurious for the high end condo feel. 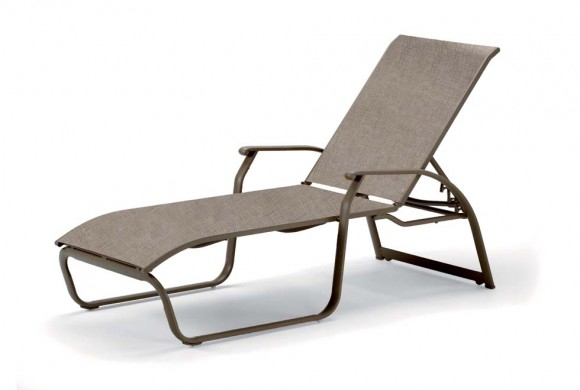 We chose a mobile sling 4-position chaise by Castelle that had a perfect combination of traditional and contemporary. With a beautiful frame available in many colors to coordinate with a variety of sling fabrics, it satisfied that touch of luxury for the client’s needs.